An inspired stucco, natural stone, Balau Batu wood exterior with LED lighting accents. Every aspect designed and custom made to express the homeowner’s love of natural products. A new completely open interior floor plan. All beams and supports hidden in the ceiling for a true open look and feel. 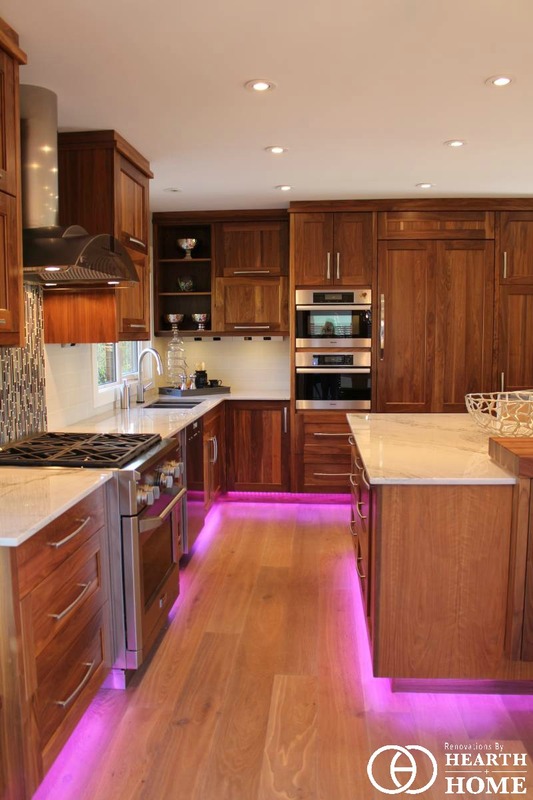 Custom walnut cabinetry and backlit precious stone island top. Hand scraped and oiled floors. Hand hammered stainless steel sinks. LED backlighting and accent lighting. Added window and door openings to maximize natural light. A sandstone feature wall with fireplace.